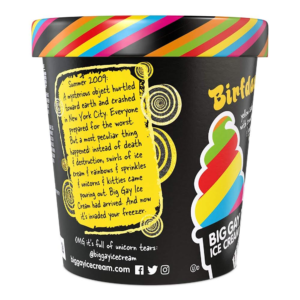 Gay supporters have a lot to celebrate ,specifically in the form of a pint of Big Gay Ice Cream which just received kosher certification from the Orthodox Union. It comes in 6 different flavors and is sold nation wide. Nothing to celebrate, but to “celibate” . Write to the Ou president Mr. Mark Bane, he is a Mechutan of BMG’s CEO. Put the lego pieces together. Former NYC Mayor Ed Koch was told in Public “Gay in der erd”. Where does Passaic’s Garry Schaer fit in with this Gay Ice Cream? The OU says it fears the legality of challenging Gays, yet a restaurant was told by the OU either change the name or no OU. Approach your Rov and ask why he is silent regarding toeva r’l? If he says he cannot do anything share this vort from the Gerrer Rebbe ztkl…. The Rebbe said one key opens one door and is easily lost. Many keys open many doors and are placed on a ring . It’s time the silent majority let by authentic Poskeim shlita display appropriate condemnation of toeva r’l. If you try your Rov and he resists at minimum you did yours. Ou ou. Shame on u. 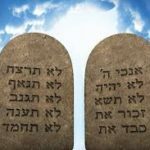 When the mainstream frum communities will stop eating from the OU hashgacha, only then will they reconsider. In Passaic they love the Gay ice cream, here they call it the Garry Schaer flavor. Moetzes of Aguda says, nisht geferlich. Moetzes, time to close shop. The Noviminsker & the Philly Rosh Yrshiva are busy with the Lakewood Rosh Yeshiva and his mechablim. Chaim Berlin & Falsburg Rshei Yeshiva are all part of the mechablim. Sorry to tell you the OU happens to be the most reliable Hashgocha.